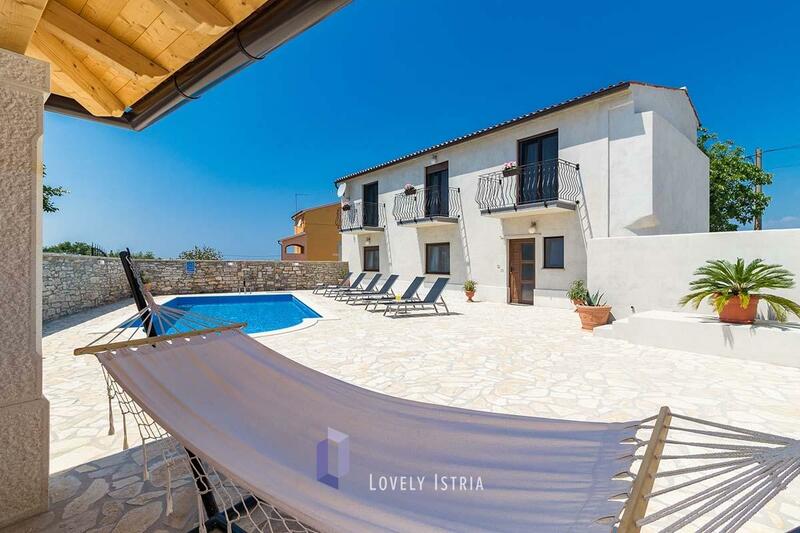 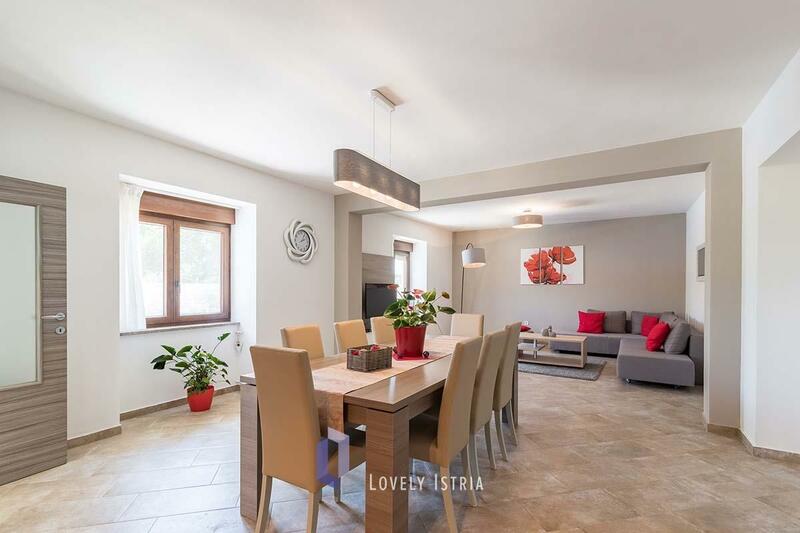 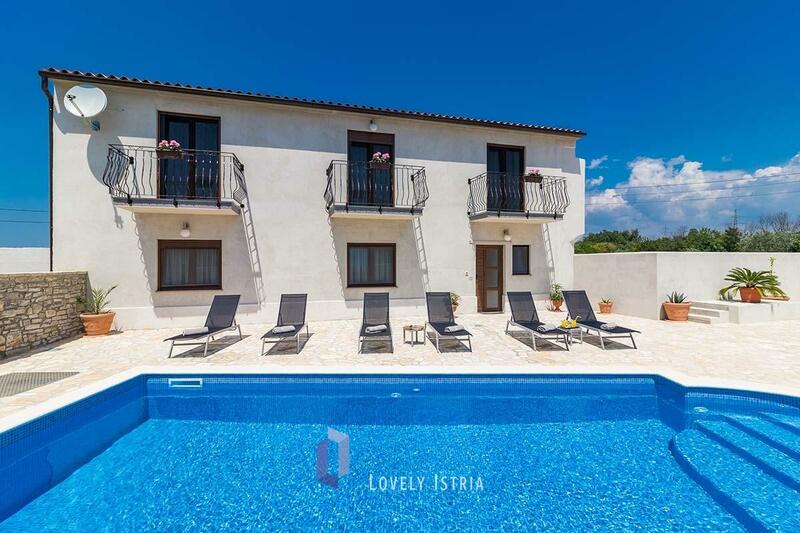 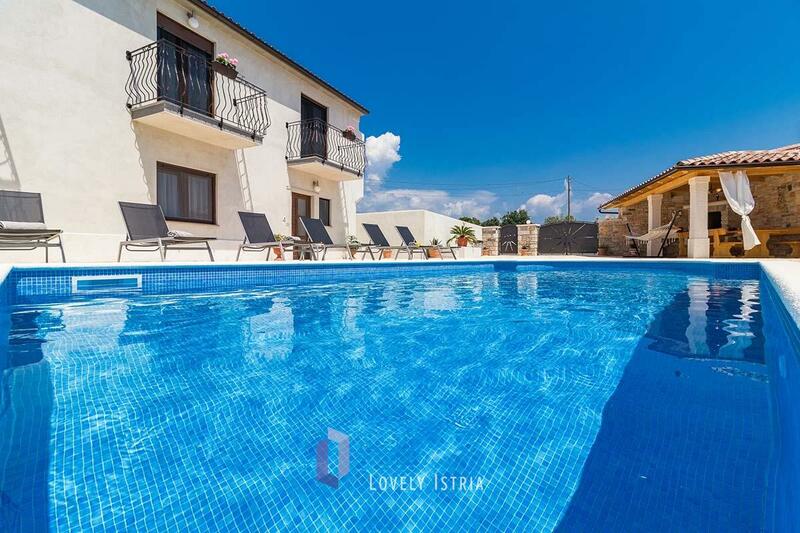 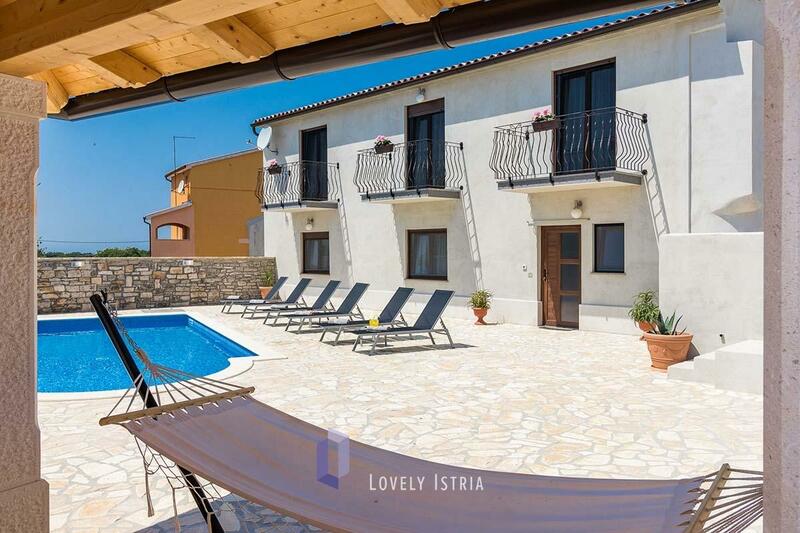 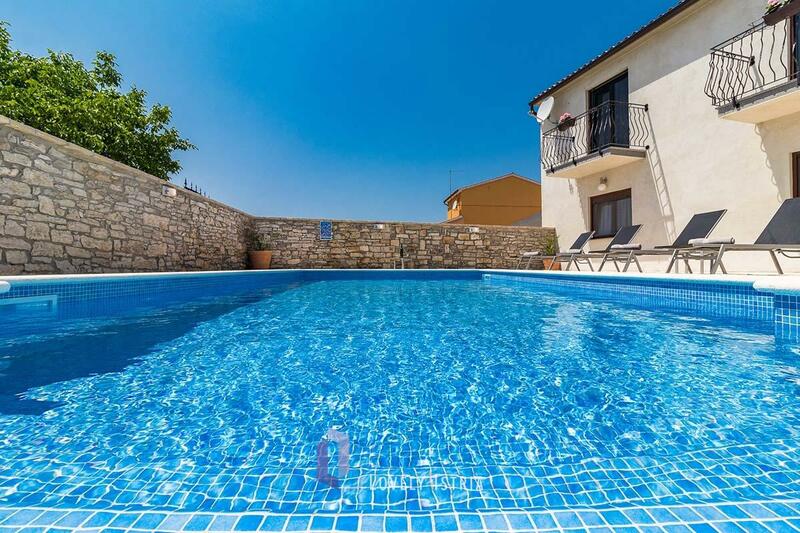 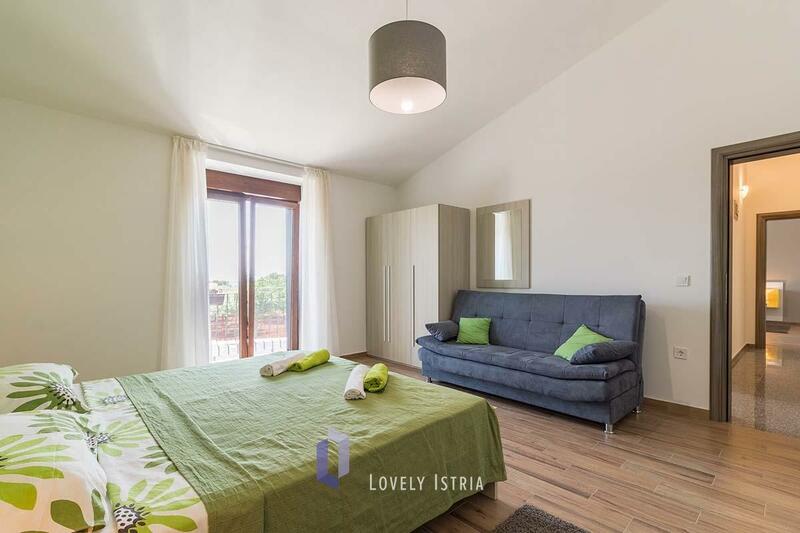 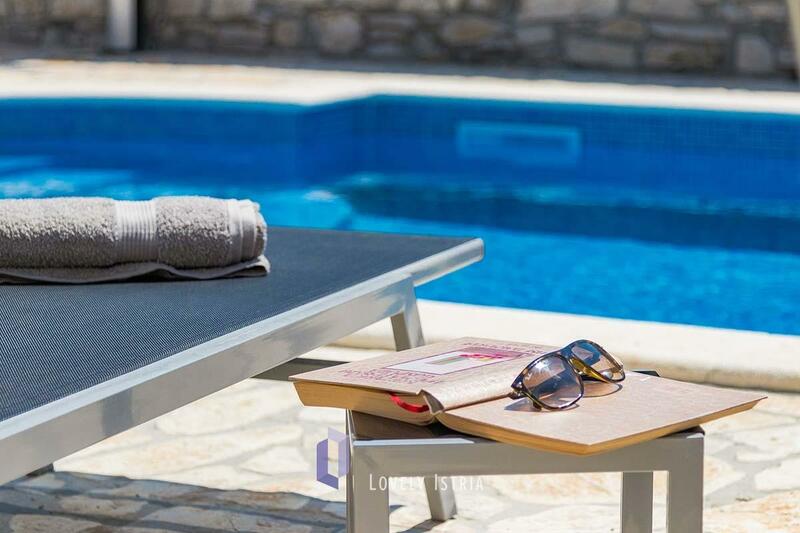 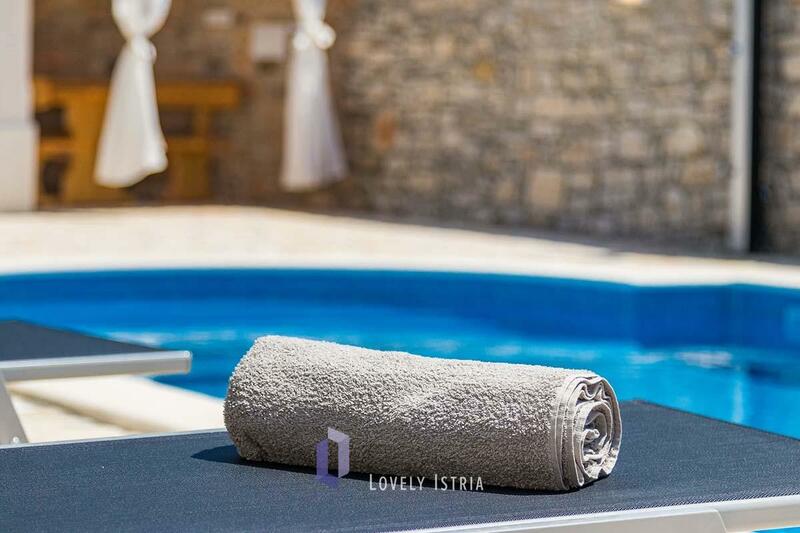 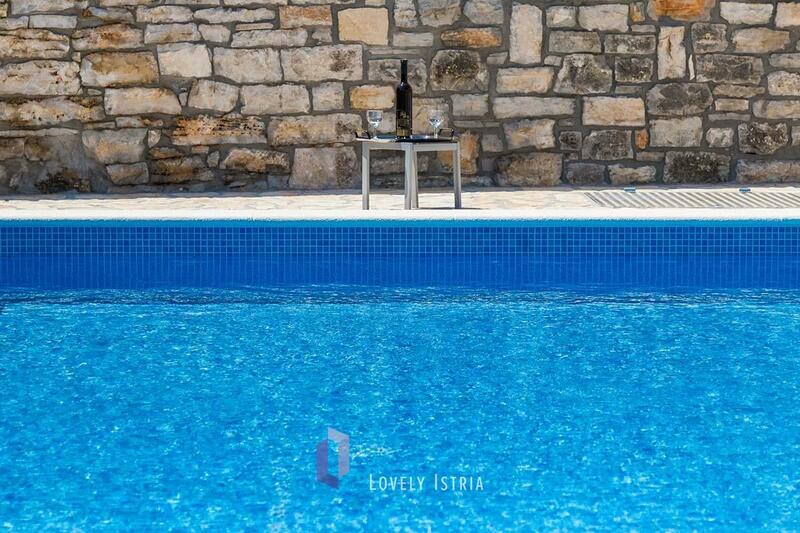 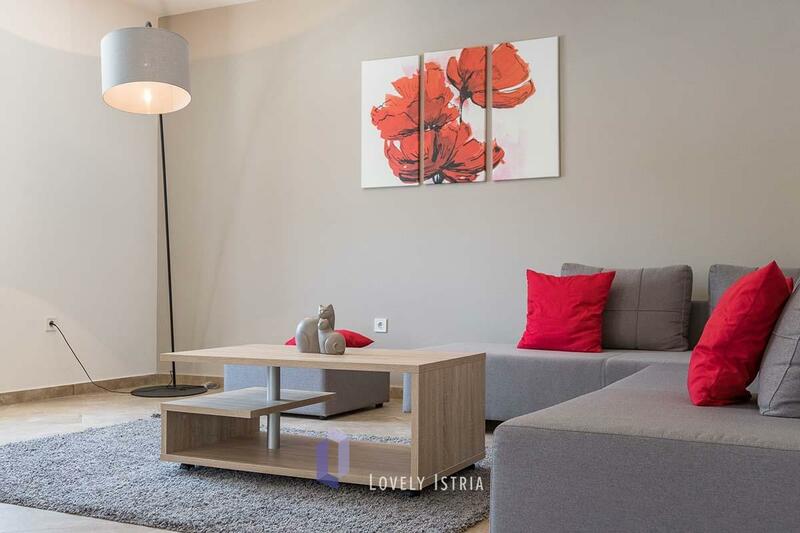 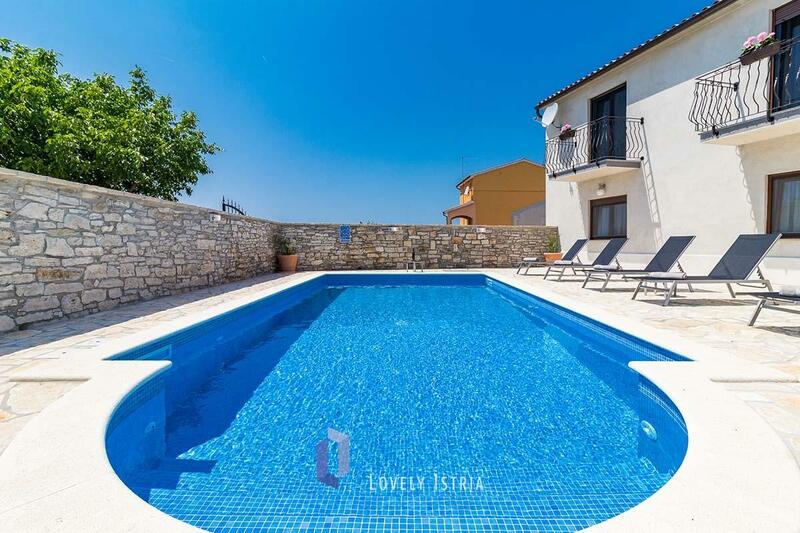 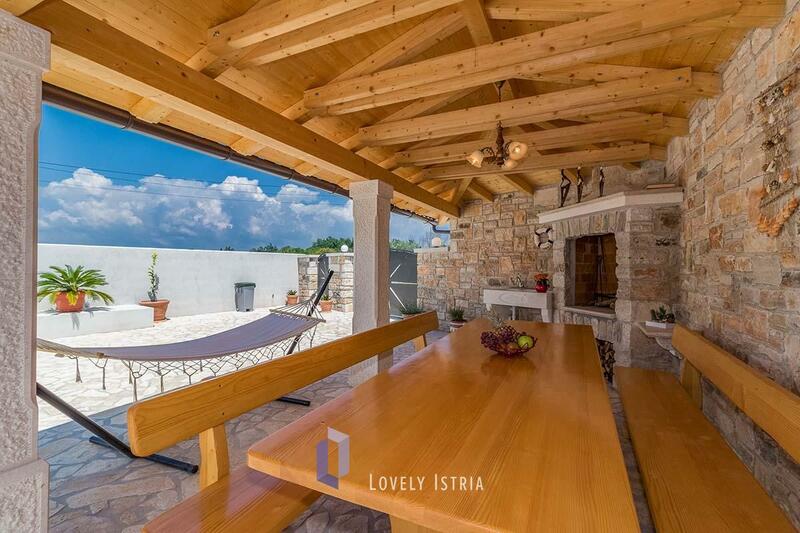 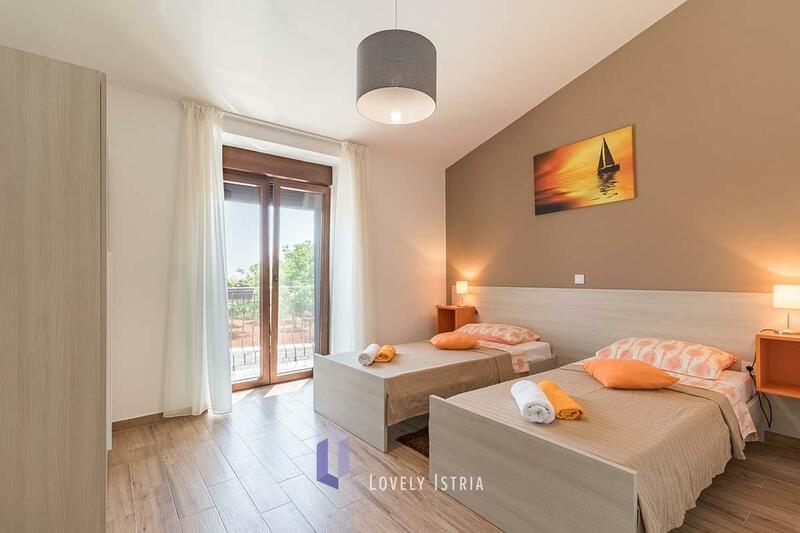 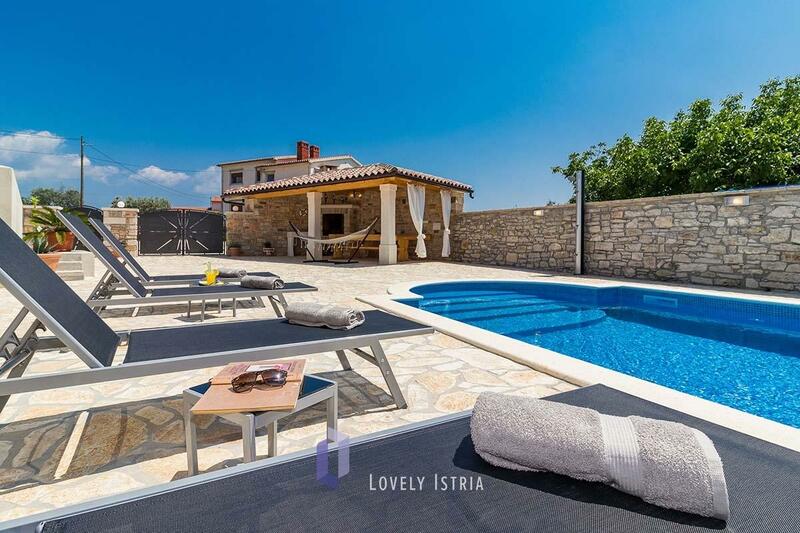 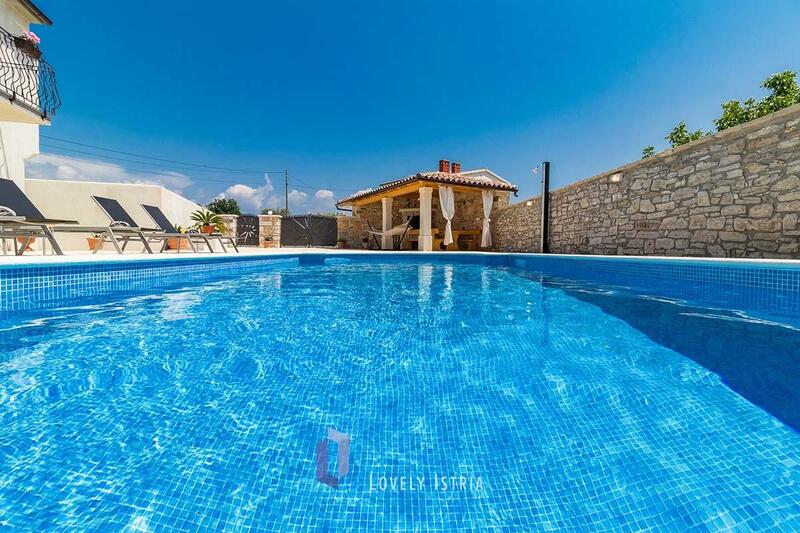 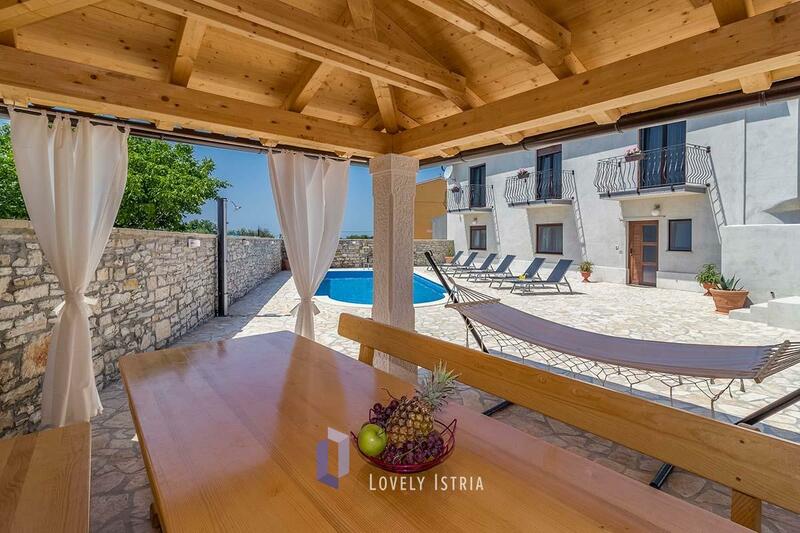 A full sense of a vacation house with pool in Istria can be found in Villa Leonardelli. 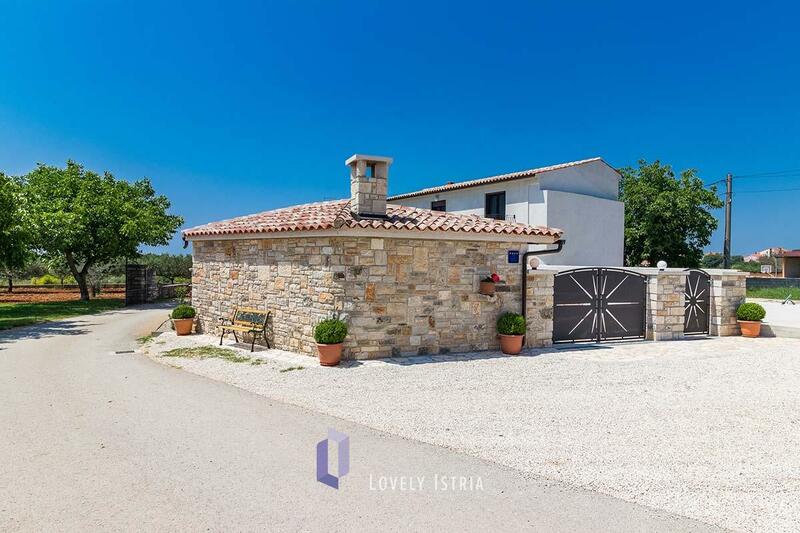 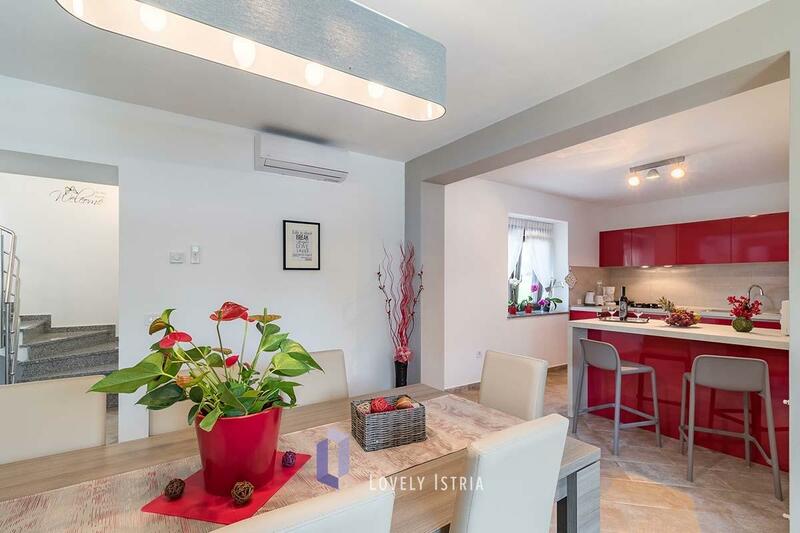 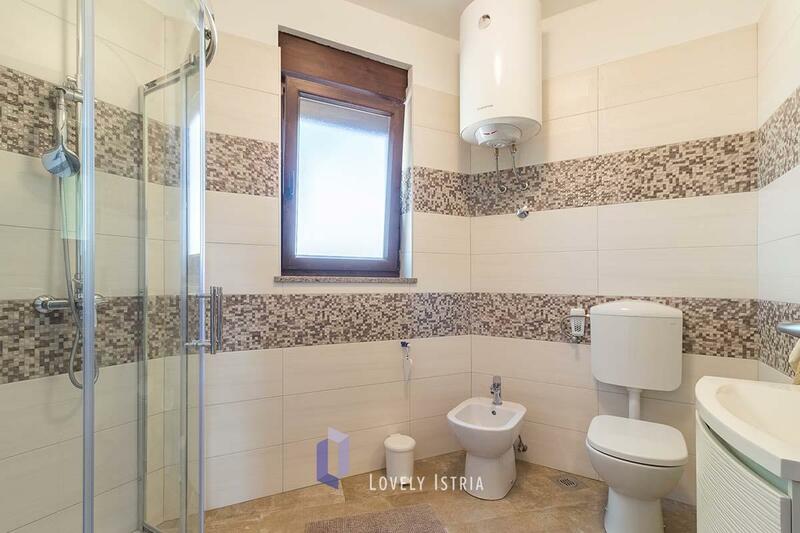 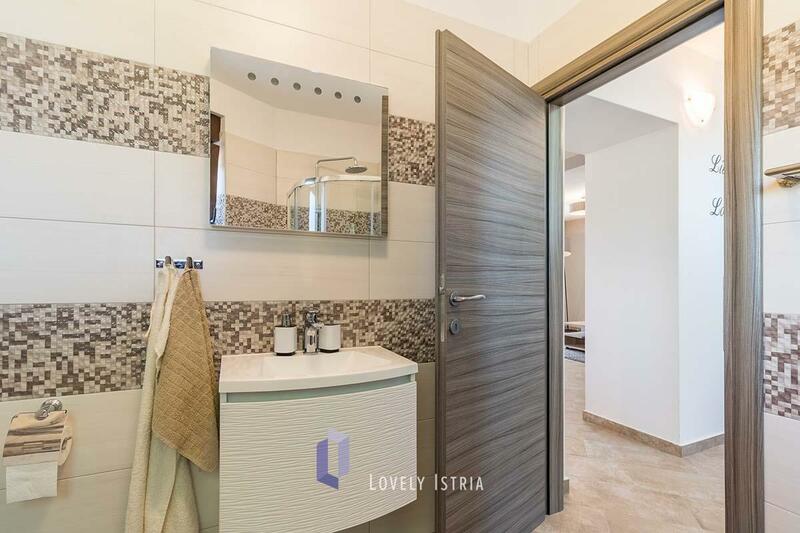 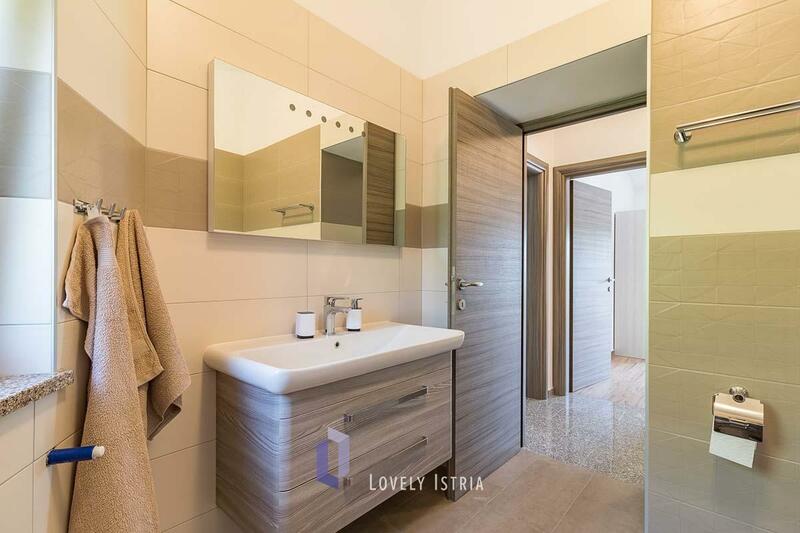 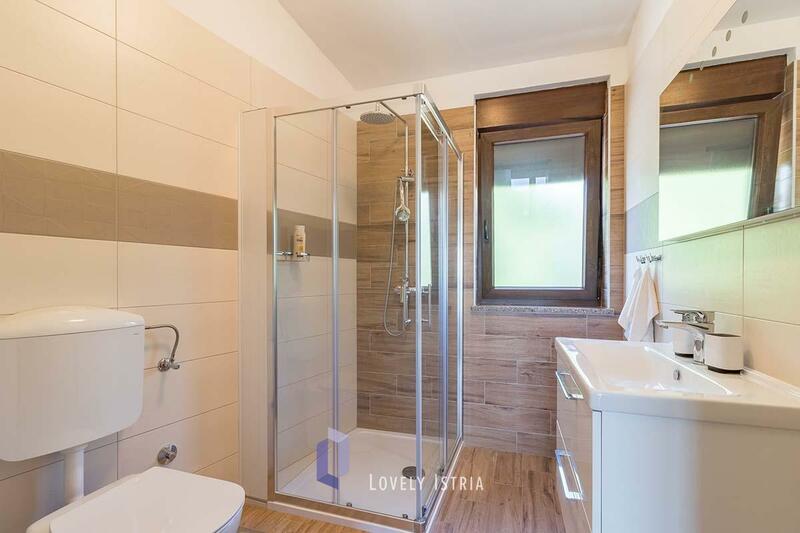 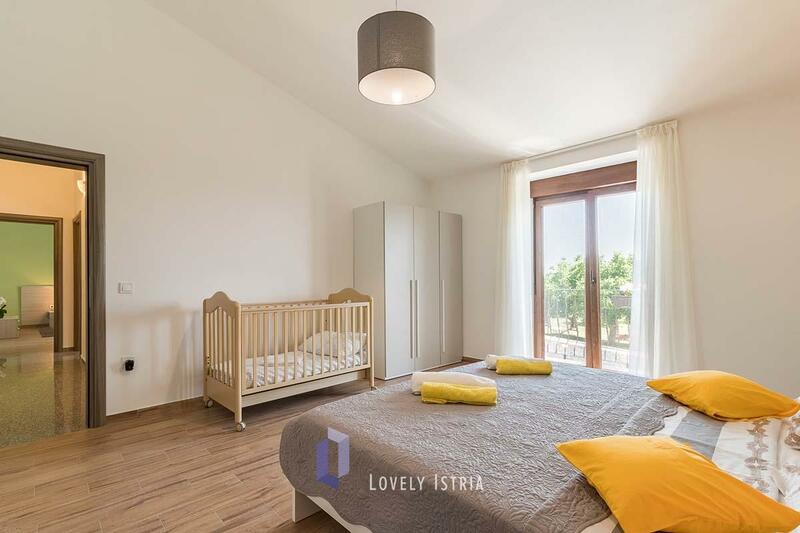 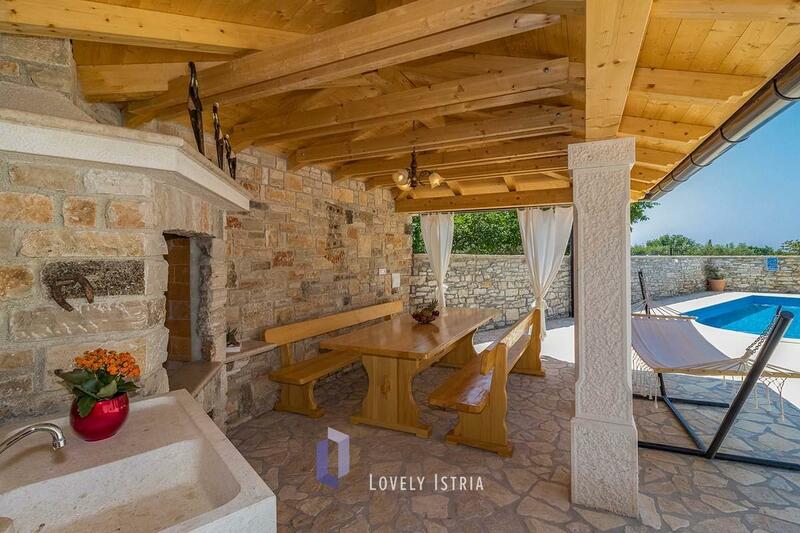 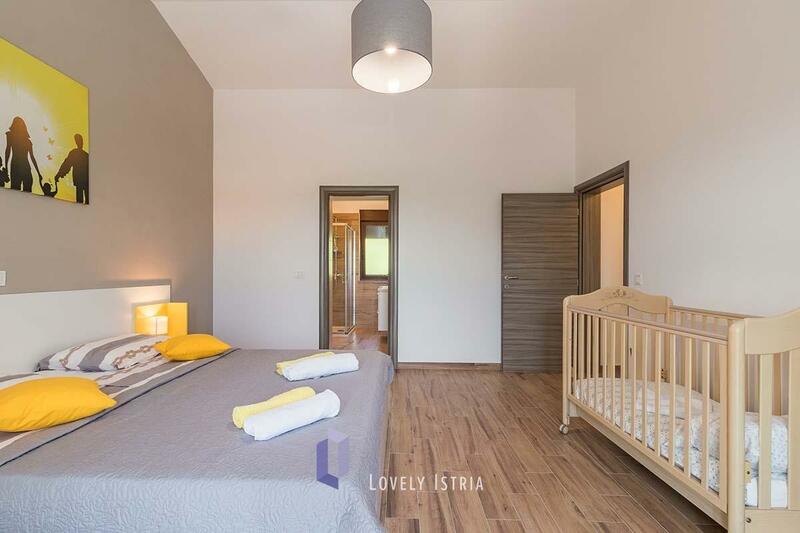 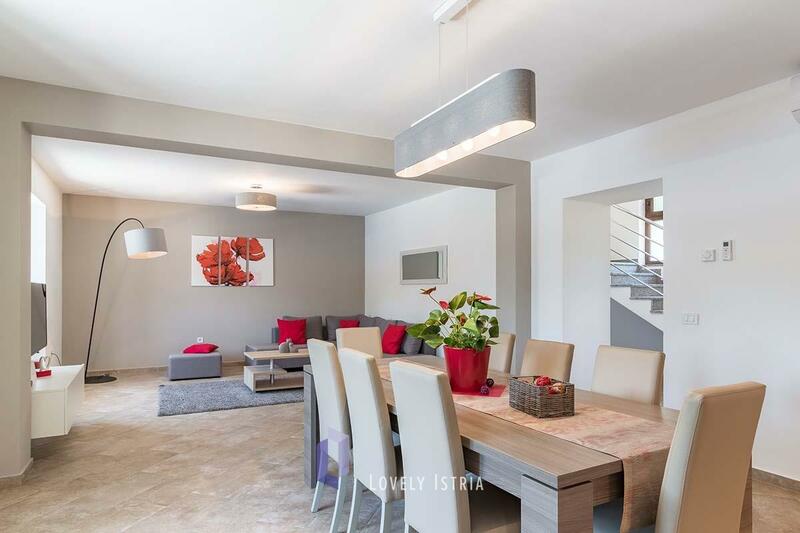 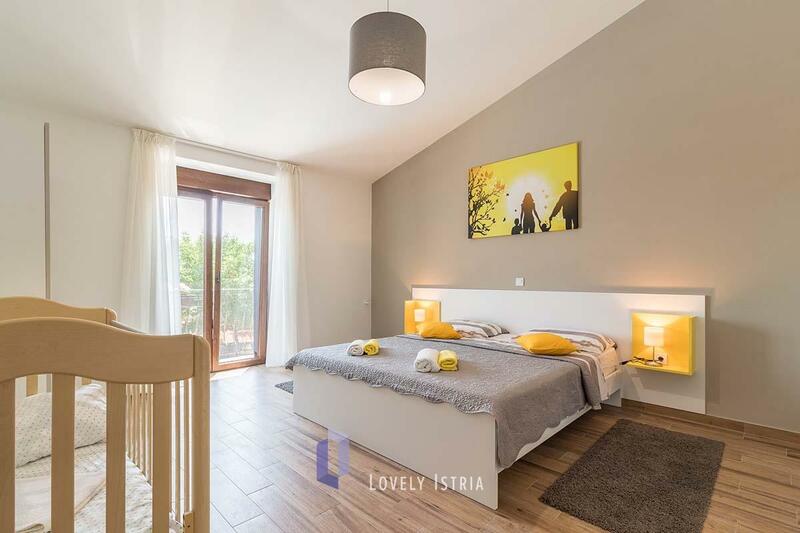 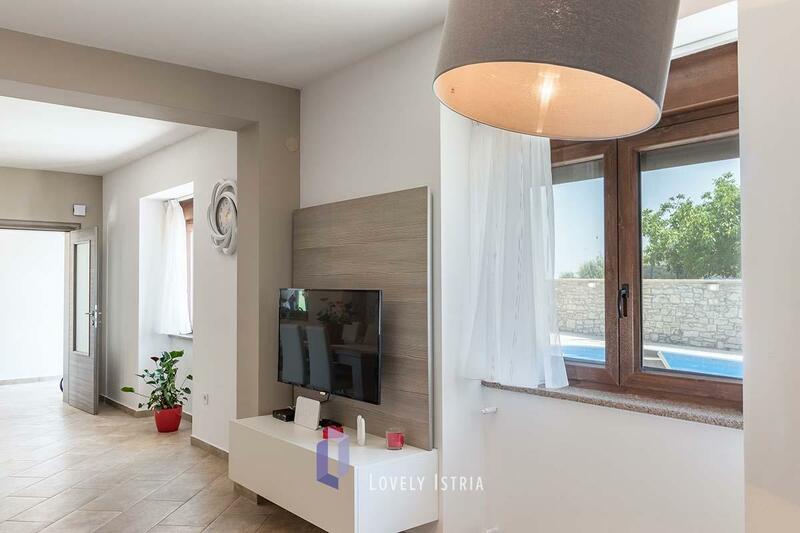 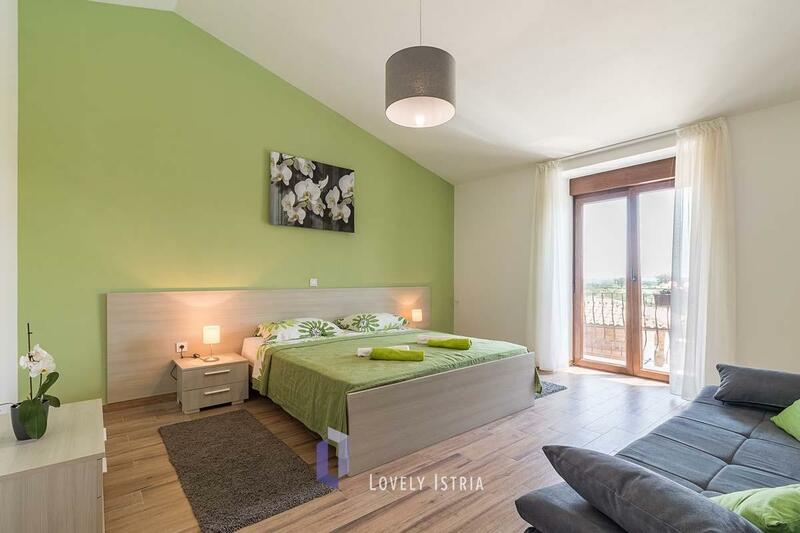 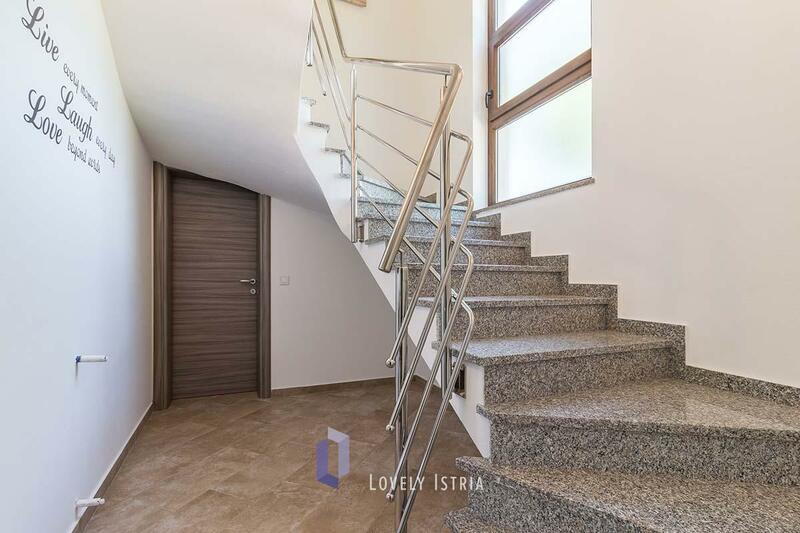 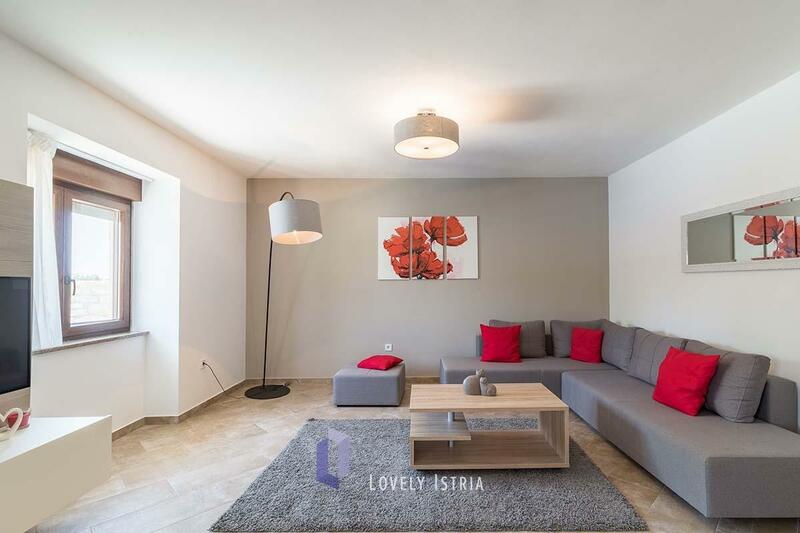 Originally an old Istrian residential house was recently fully renovated, but it has still, especially in the outer part, preserved some of its original features. 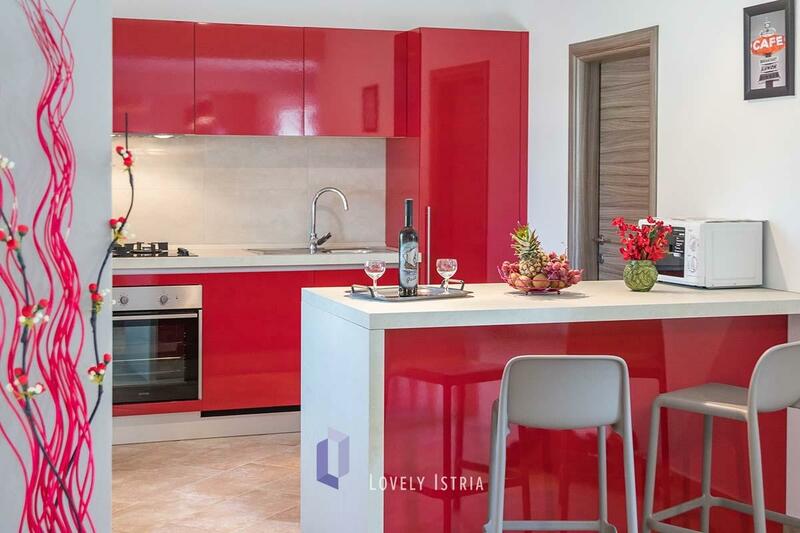 In the wonderfully designed interior we find very attractive details and harmonized colors throughout the house. 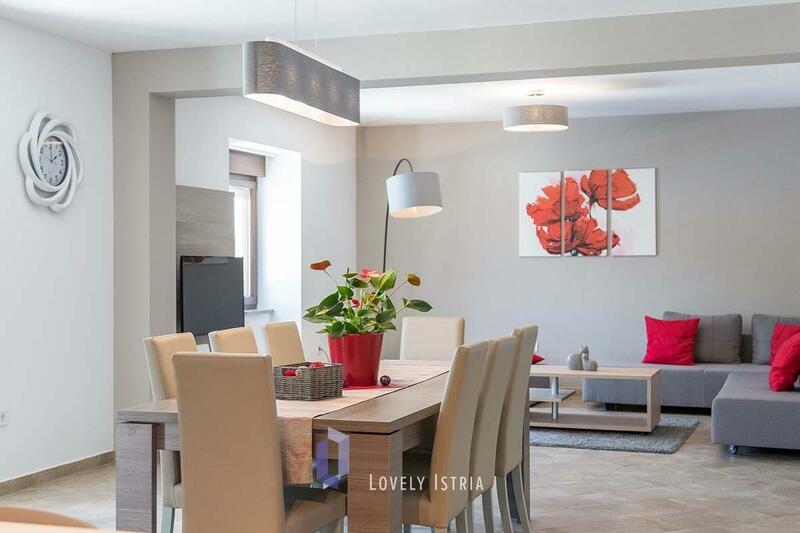 The floor plan is well thought-of, so there are three comfortable bedrooms, three bathrooms, and an open space ground floor encompasses a colorful contemporary kitchen followed by a stylish dining and living room. 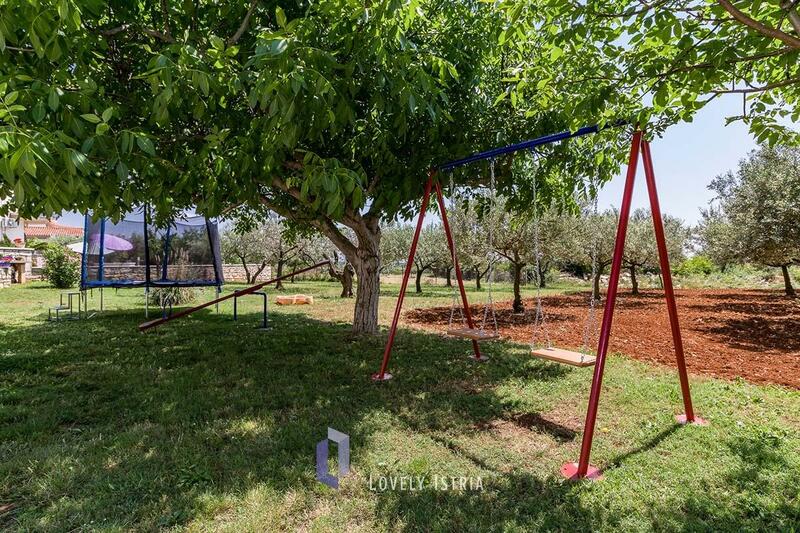 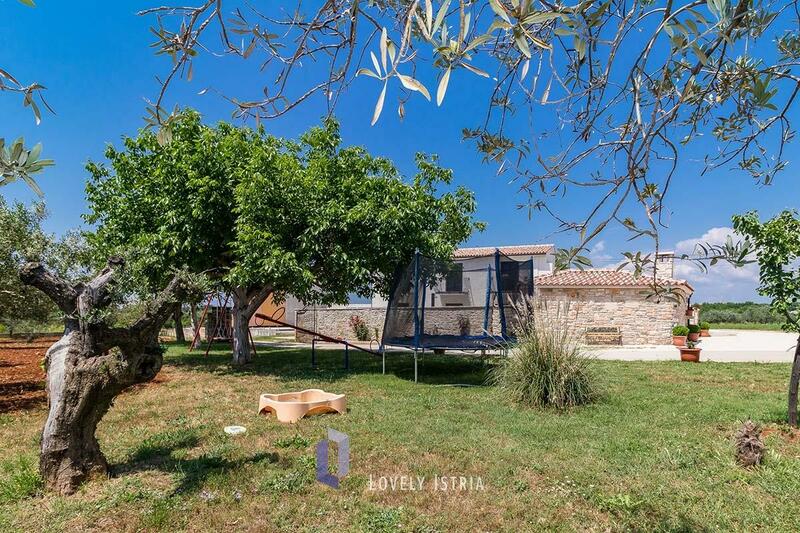 The attractive exterior is consisted of the area for children under a tree providing a shade, a refreshing swimming pool with comfortable decks by its side, a summer kitchen and an inviting hammock. 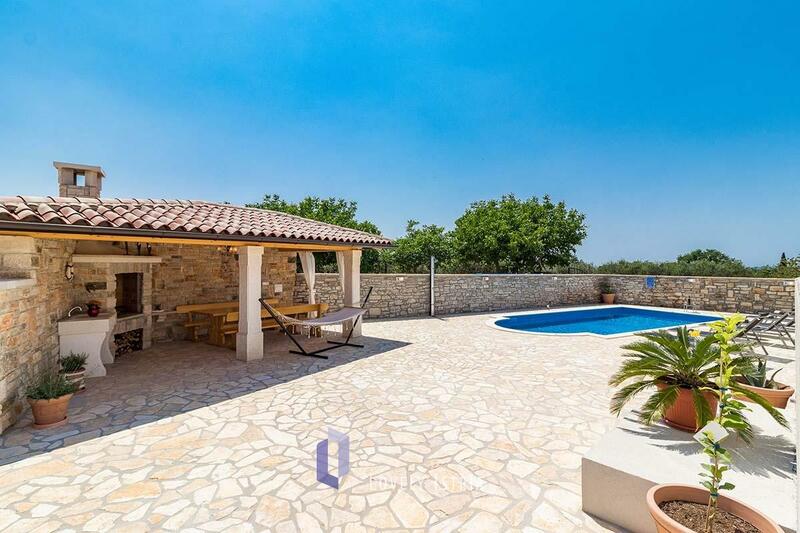 The summer kitchen is a great place to prepare food and dine during the hot summer days. 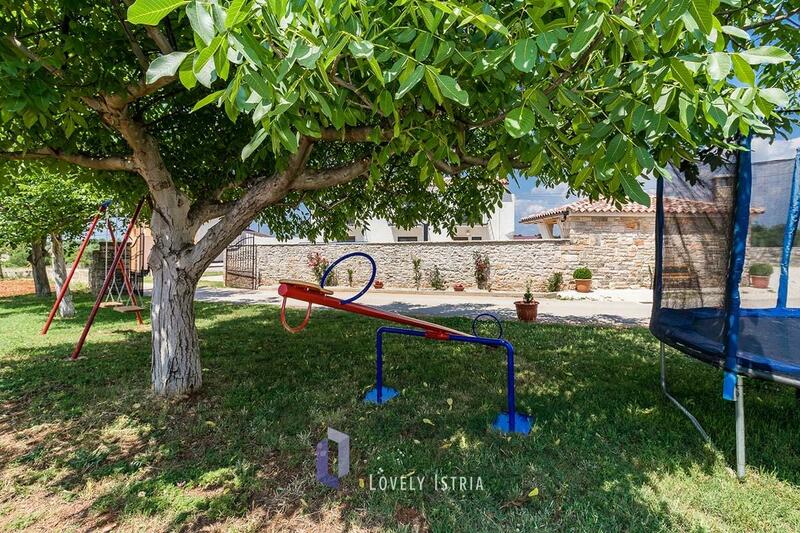 There is also a farm near the house where you can meet domestic animals and taste local food. 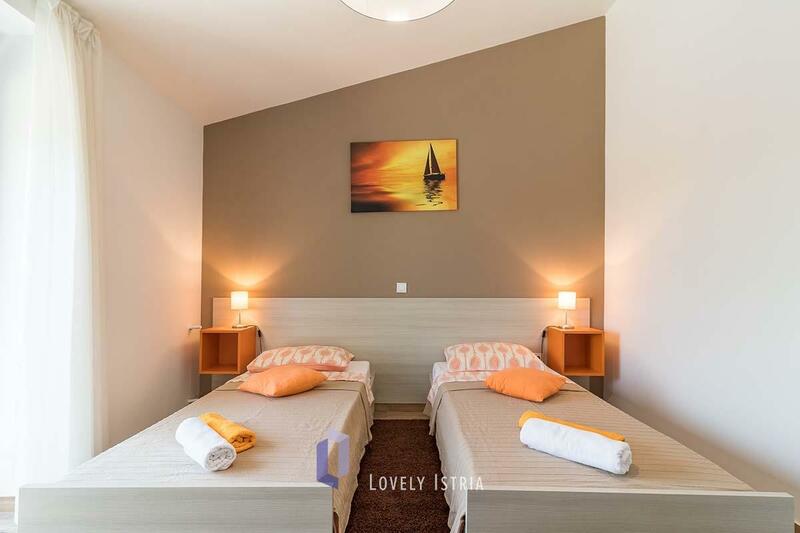 Galižana or Gallesano is a place that’s continuously inhabited since the prehistoric times. 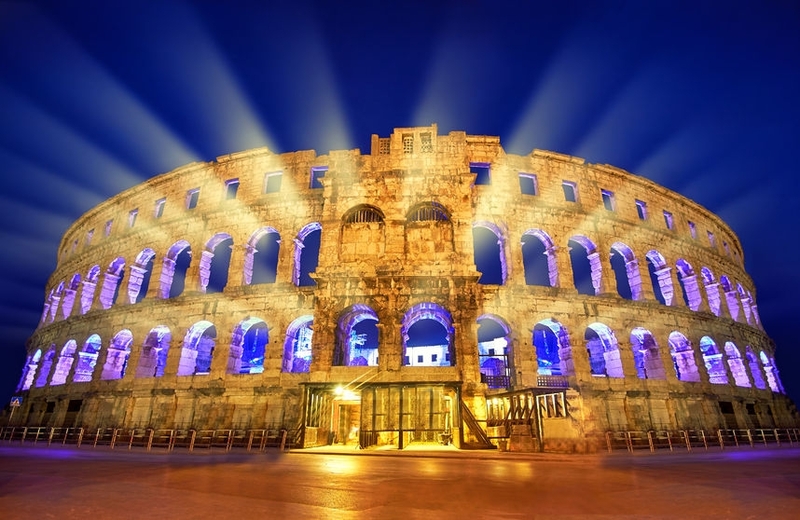 It is rich in archeological findings, mainly from antiquity, part of which are displayed in the Archeological Museum of Istria in Pula. 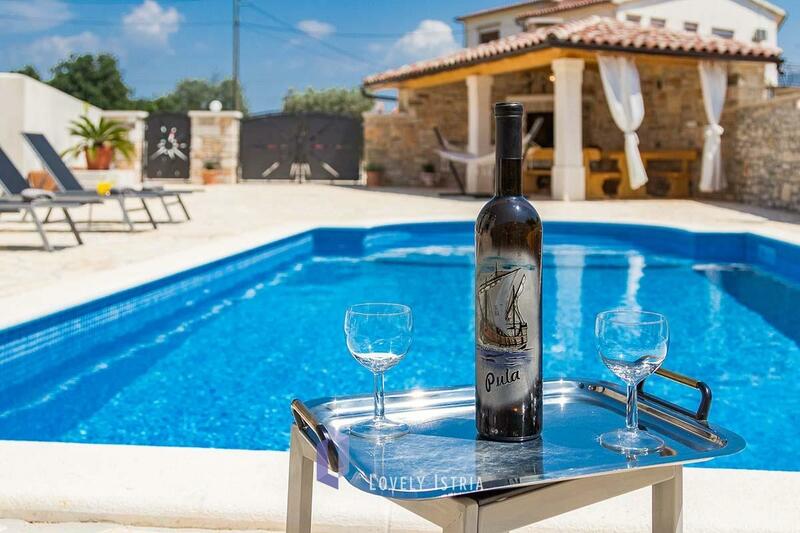 People of Galižana are mainly engaged in traditional agriculture; therefore this is the place of splendid wine and the best olive oil in Istria. 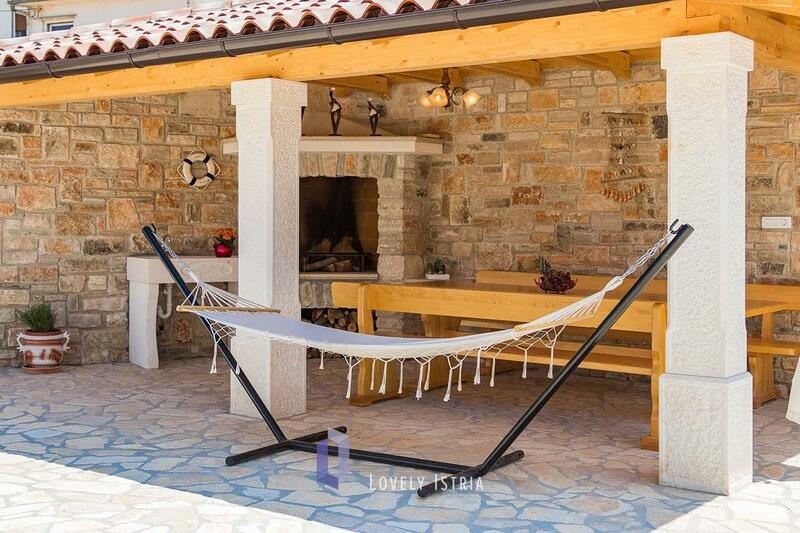 There’s another peculiarity of the residents of Galižana, the continuity of the old native dialect and folk customs. 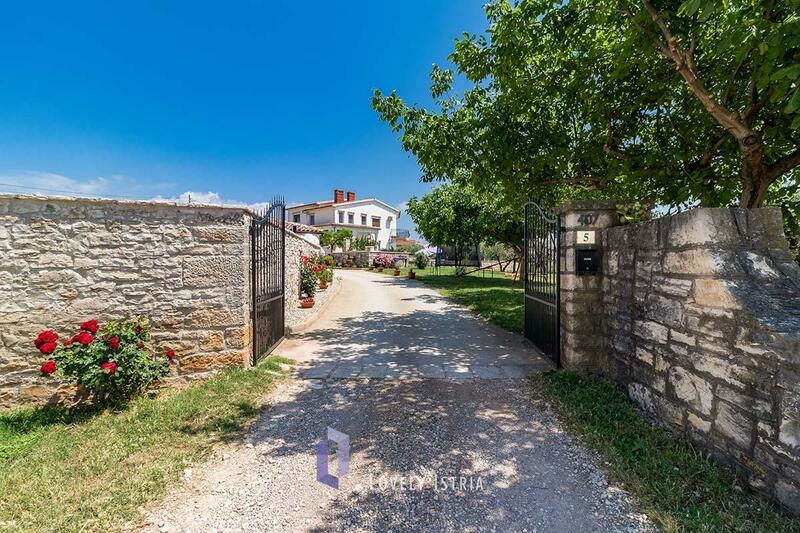 The most interesting monuments of Galižana are sacral, dating from the middle ages, and the oldest one is the 9th century church of St. Just.